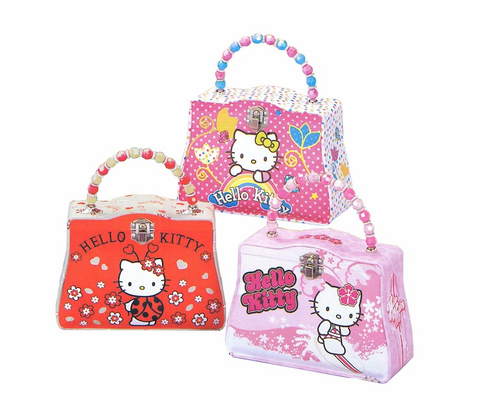 This purse is purrrrfect for the classic Hello Kitty fan and comes equipped with a beautifully beaded handle for easy carrying. Dimensions are 7.25" x 3" x 5.38" and each tin is made from recycled steel. Assorted styles and colors. Price per item.